Place the graham crackers in a food processor, and pulse until they are crumbled into fine crumbs. Set aside. 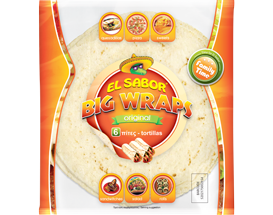 Use a 3½-inch circle cutter and cut out four to five circles from each of the flour tortillas. Heat 1½ inches of the vegetable oil in a pan over medium heat. Make sure the oil is good and hot by testing with a scrap of tortilla. If it bubbles right away, the oil is ready. Using tongs, hold a tortilla circle in the hot oil for 5 seconds. Flip the tortilla over and fold in half with the tongs. Hold it folded for 5 seconds, or until browned. Flip and fry the other side until crispy. Remove the fried and folded tortilla from the oil. Shake off any excess oil, and dredge the tortilla in the graham cracker crumbs. Set on a pan to cool. Repeat steps 3 and 4 until each tortilla circle is fried, folded, and dredged in graham cracker crumbs. In a medium bowl, cream the cream cheese, lemon juice and vanilla extract together. Add the heavy cream to the cream cheese mixture and beat until fully incorporated. Add the powdered sugar to the cream mixture and beat until stiff and fluffy. Place the cheesecake mix in a gallon-sized resealable plastic bag and refrigerate for 20 to 30 minutes. 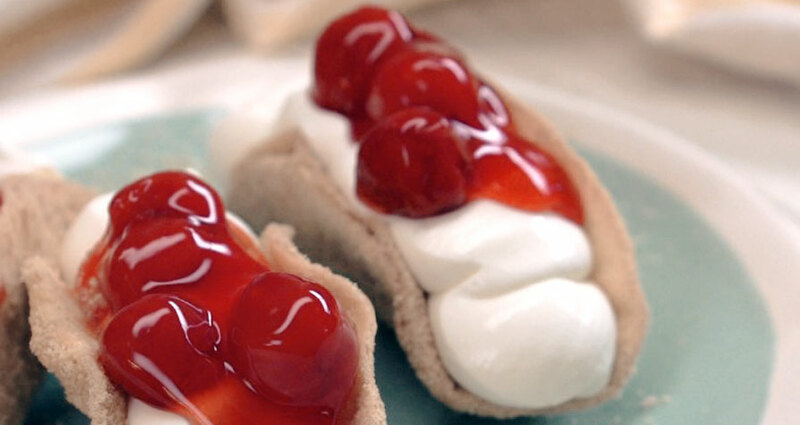 Cut the tip of one corner off the plastic bag, and pipe the creamy cheesecake filling into each prepared taco. Spoon the pie filling over the top, if desired, and serve.